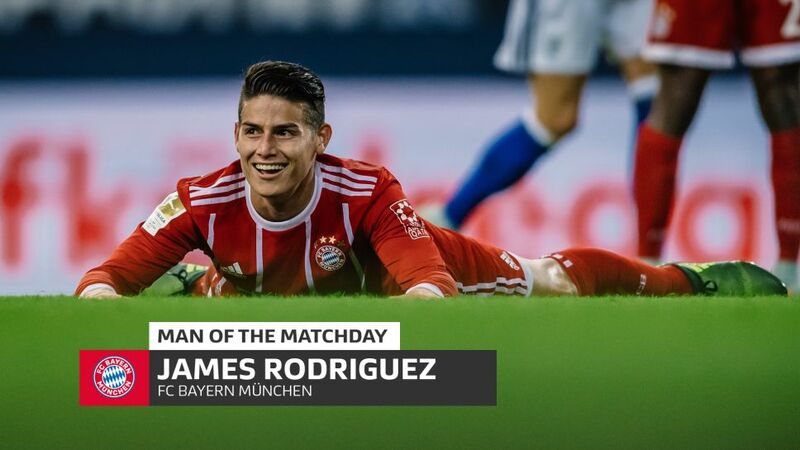 Having been made to wait for his full Bundesliga debut, Colombia international James Rodriguez was handed his first league start for Bayern Munich at Schalke on Matchday 5 - and what an impact he had in Gelsenkirchen! After winning the penalty from which Robert Lewandowski opened the scoring at the Veltins-Arena, the 26-year-old opened his account for the club just minutes later, collecting a Corentin Tolisso pass and sliding a calm finish past Ralf Fährmann to put his team 2-0 up just shy of the half-hour mark. "The goal gave me confidence and I started playing more relaxed," the 26-year-old said afterwards. "I was already having a very good game and the goal helped me as well. I want to help the team score goals and give assists to my team-mates." Indeed, the Real Madrid loanee not only found the net at the Veltins-Arena, he also laid on a superb assist for Arturo Vidal with a quarter of an hour to go, dinking the ball through to the Chilean with his left boot to help secure a win which lifted the Bavarians - temporarily at least - to the top of the Bundesliga. Bayern were leapfrogged on Wednesday by Borussia Dortmund, who reclaimed top spot with victory over Hamburg. Carlo Ancelotti’s side can climb back to the Bundesliga on summit on Friday, however, when they take on struggling Wolfsburg at the Allianz Arena. If James can pick up where he left off in Gelsenkirchen, it could be a long evening for Martin Schmidt’s charges in Munich. Click here for the Schalke vs. Bayern Match Centre!